Read the article on the Los Angeles Times: click HERE. Shakespeare was allegedly born on April 23rd, 1564 and he died on April 23rd, 1616. You can watch a video of the celebrations in Shakespeare’s town, Stratford-upon-Avon, on the website of Sky News: click HERE. You can read a biography of Shakespeare on the website of the BBC: click HERE. 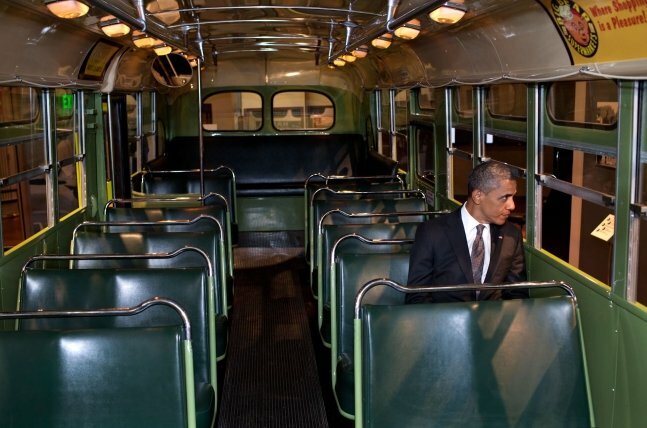 President Barack Obama sat Wednesday for a moment inside the Montgomery, Ala., city bus where Rosa Parks refused to give up her seat. The bus is currently housed at the Henry Ford Museum in Dearborn, Michigan. Voici le vocabulaire à réviser sur les thèmes du manuel. Si vous avez des doutes sur la prononciation d’un mot, tapez le dans le site suivant (‘Enter text’) et cliquez sur ‘Say it’, le lien est ICI. Revoyez également la feuille de méthode pour la description d’un document visuel et le cours (notamment le vocabulaire des commentaires de texte et les textes de présentation des unités qui vous apportent des idées). Picture gallery: Northern Ireland murals on the website of the BBC. Murals of Northern Ireland on the website of the Claremont Colleges. Belfast murals with a Google map of Belfast. Political murals on the website of Channel 4 which also discusses murals outside of Northern Ireland. 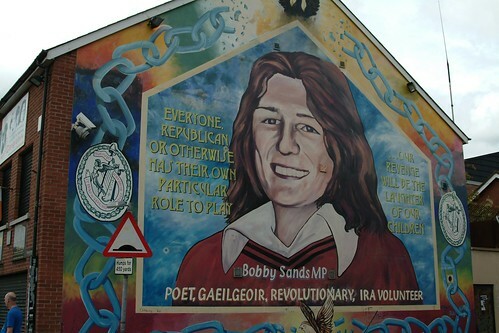 Belfast’s murals: Off the walls? on the website of the Belfast Telegraph. A makeover for the murals that depicted hate, violence and bigotry on the website of The Independent. What is the UVF? on the website of the BBC.